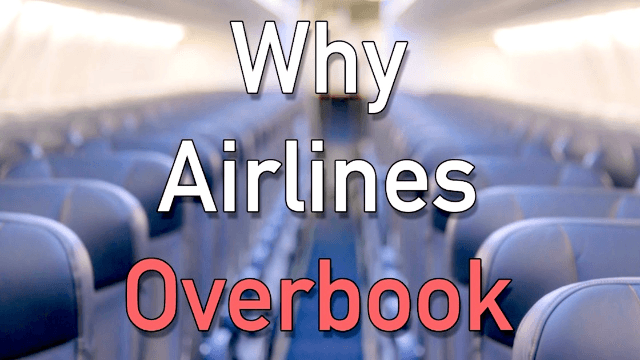 Helpful video explains why planes get overbooked and how to prevent getting bumped (or beaten up). In the wake of United Airlines' PR disaster over the viral video of a passenger being beaten and dragged from an overbooked flight, many formerly complacent travelers are starting to question the practice of overbooking in general. After all, why should airlines sell tickets to seats they don't have? Aren't incidents like the one on Flight 3441 inevitable? The people want to know! Now, the helpful explainers at Wendover Productions have produced a video detailing the surprisingly sophisticated math used by airlines to determine how many imaginary seats they can sell on each flight to protect their bottom line. The video also includes a few ingenious tips on how to prevent an airline's algorithm for choosing you to be the one who gets hauled off the plane, bleeding. Fascinating. Now if only there were a video explaining how to poop comfortably in that tiny bathroom.